Our ovens are lightweight and portable, reach operating temperature quickly and are cost effective to operate. We have invested heavily in new technology and equipment, including our own kilns, computer controlled plasma tables and routers. Currently we build every oven to order, however in 2019 we're introducing a new range of ovens, this model will be kept in stock and available for quick delivery, you can read more about this on our Oven Sales page. We are the largest hirer of wood fired ovens in the UK, probably the world. Prices start at just £90 plus VAT and delivery for a 60cm oven. You can find more information on our Hire page, or if you complete our Contact form, we will send you our oven hire information sheet by email. We're also the only company in the UK that will lease you a wood fired oven, prices start at just £35 per week plus VAT, for further information, please take a look at the Lease Information section of our site. Should you accidentaly damage your oven, then we can loan you an oven whilst we repair yours. We understand that on some occasions, potential customers may need an oven quickly, on occasions such as this, we're happy to loan you an oven whilst we build your's own oven, all we ask is that you pay for your oven in full and cover any delivery charges we incur. A new range of models with the following features and options. 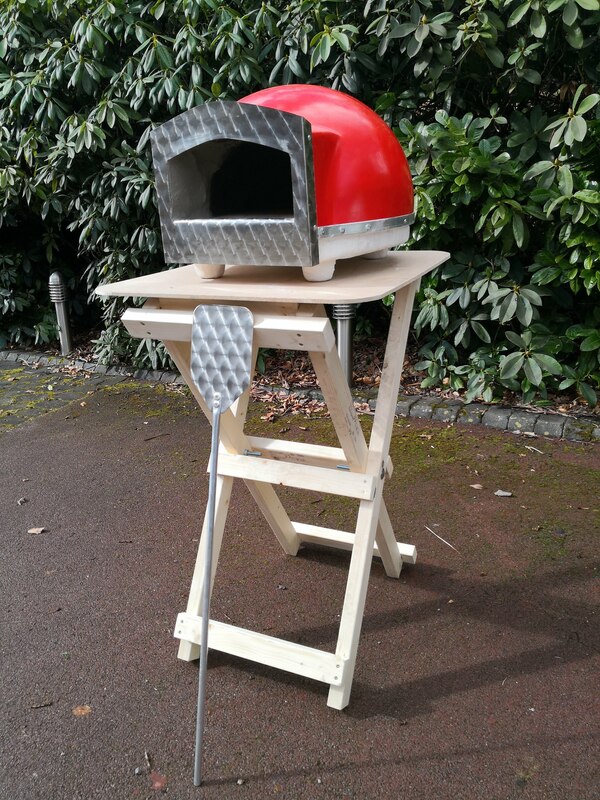 Sizes - from 40cm to 1.2m, Lightweight from 16kg, Economical to operate, Cooks pizza in under 90 seconds, little or no recovery time, prices starting from £250. Choose your oven colour from the chart below.